I doubled my followers (from 29 to 58) – thank you OM – last weekend. 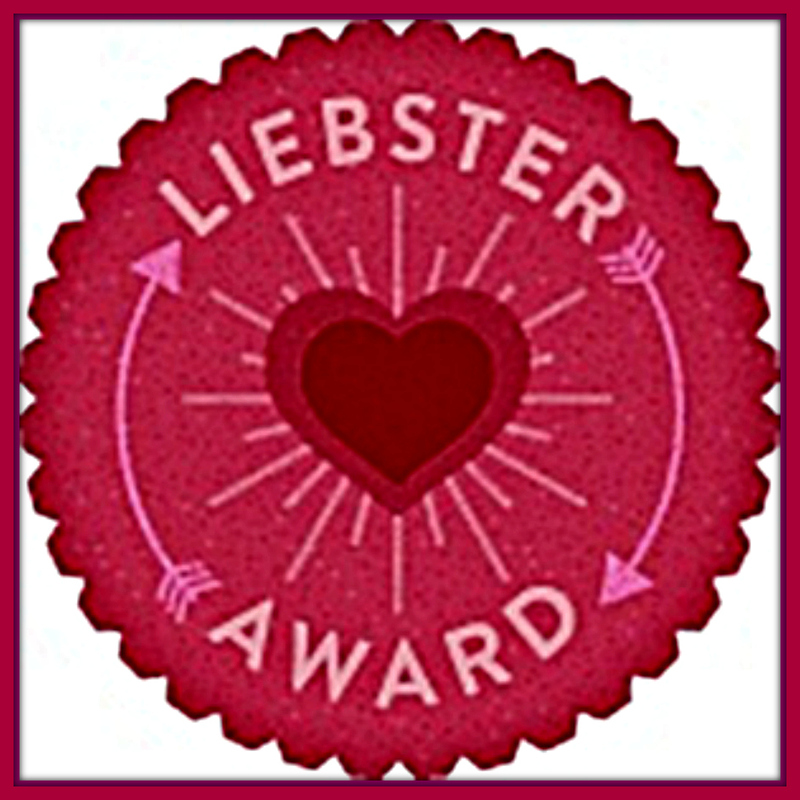 One result of this greatly expanded readership is that my blog was nominated for the Leibster Award – thank you Erin. I am thrilled. Completely and totally thrilled. But, as usual, it took me a while to accept and enjoy this much appreciated appreciation and to express how I feel: I am SO EXCITED! When OM respectfully asked permission to reblog my post, I hesitated. Oh no, that would mean people would read what I wrote. Umm, isn’t that why I am writing? To say what I don’t always have the nerve to speak, to say what other people are thinking but don’t always have the nerve to speak, to connect. I cautiously agreed. An assortment of thoughtful people read what I wrote and commented. I was touched. And a little freaked out, ready to go into hiding. When Erin enthusiastically nominated me for the Leibster Award, I was exhilarated. I’ve been waiting for this moment all my life! Finally, recognition for my greatness. Then I researched the award and saw it referred to as like a chain letter. I groaned. Oh, it’s just a stupid marketing ploy. (Full disclosure, my day job is: professional marketer.) That is what happens every time I get excited. Someone belittles my enthusiasm, my achievement, and I let them. Which results in my need to hide or quit. If I don’t allow my truth to emerge, my excitement and passion, how do I connect? When does life begin? At 50, it better begin soon. Now is as good a time as any. No more hiding. Nominate 11 bloggers with under 200 followers. And comment on their blog. Ask 11 questions for them to answer. I am a rule-follower. When I cannot follow the rules, I do not participate. I want to participate, but I cannot follow the rules. Here goes. My Myers-Briggs score is I-N-F-J…heavy on the N.
I got into significant shop-a-holic debt at Nordstrom, which took years to pay off. Although now debt-free for years, I am terrified of shopping. My wardrobe is getting shabby. As a girl, I read Little Women as often as my son has watched The Big Bang Theory. Louisa May Alcott was my writing and feminist role model. Speaking of feminism, I am a feminist. I love Daylight Savings Time and am so happy in the Summer time with sunlight and long days. SADD is real. My favorite yoga pose is handstand. Thank you Jill for teaching it to me. It makes me as happy as sunlight and long days. I hope my children suffer less and find what makes them happy. I hope they will want to spend time with me when they are adults. I ate Grilled Artichokes with Shitake Mushrooms and Parmesan Cheese for dinner Friday night, with a side of Broccoli Rabe. It was delicious. I am eating less meat. I weigh 122 pounds, less than I weighed when I got married nearly 20 years ago – I am absurdly triumphant about this, even though my disordered eating is a reason for my current thinness and I am intellectually aware that thinness does not equate to happiness. Boho Chic Cafe: A young woman exploring fashion and food. Cafe Casey: She posts about teaching, parenting, and life. She has honed her sarcasm and writes dialog with her son in a pitch-perfect way. Her musings are always honest and on target. Clotildajamcracker: Her drawings are amazing. End Picking: A fellow struggler with anxiety and skin picking. I have deep sympathy. The Gifting Whisperer: She understands the beauty and importance of gift-giving in this uncertain world…and that the best gifts don’t always require money. Tamina’s Turn: Lovely and fun writings and photographs about movement. This award is reminding me that it’s okay to be proud and excited to be part of a thoughtful community. Thank you.